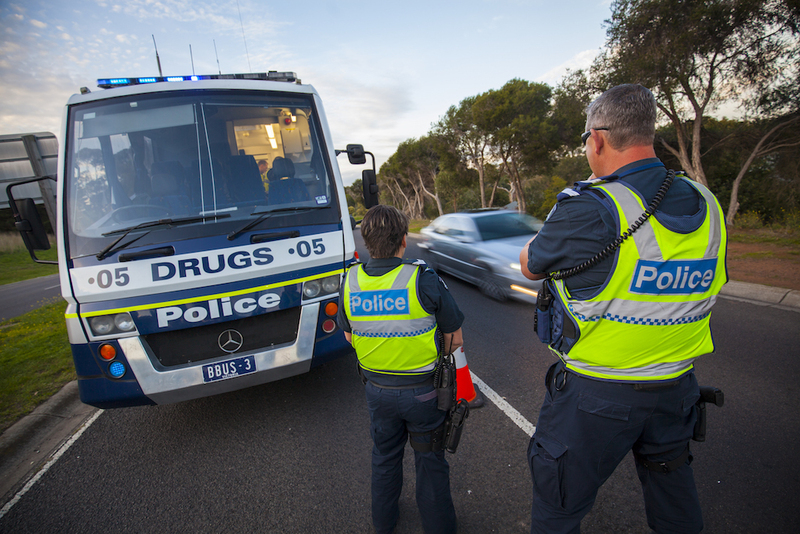 Random breath testing has been a regular part of Australian driving life for many years, but not many of us are as familiar with roadside drug testing. 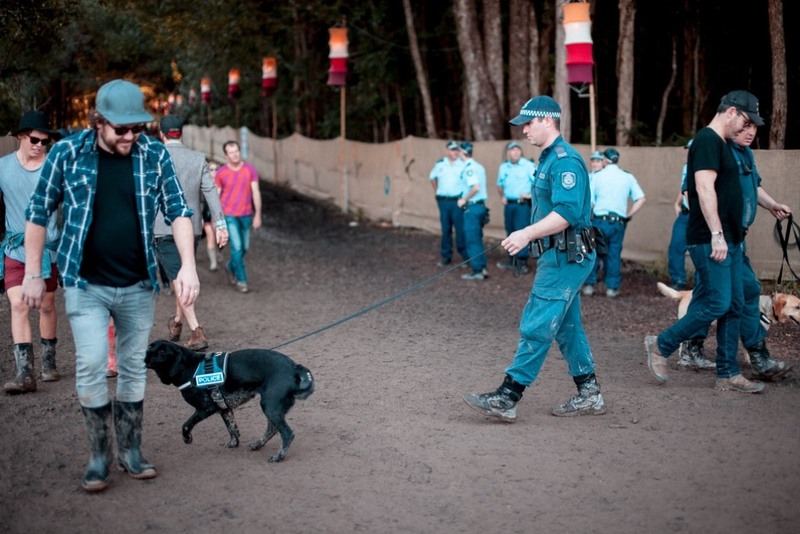 But we should be: Between 2016 and 2017, there was a 320 percent increase in the number of people charged with drug driving offences in NSW, with young people and residents of low-income areas making up the bulk of the arrests. By 2020, the NSW Centre for Road Safety anticipates that 200,000 roadside tests will be undertaken every year. 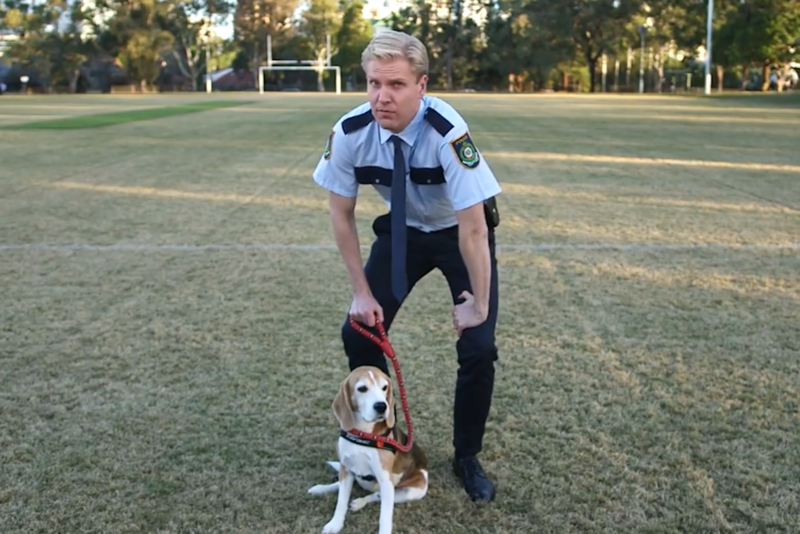 If you haven’t had the luxury of a test yet, you probably will soon — so we asked NSW Greens MP and anti-sniffer dog campaigner David Shoebridge to walk us through exactly what happens when you get pulled over and asked to undertake a drug test. Know your rights. Drug testing occurs in pretty much exactly the same way as random breath testing does: The police can conduct the test at any time, at any place, and they do not have to have a specific reason in order to do it. You could be stopped for not using an indicator light, and the police could decide to drug test you. You also can’t refuse a test — if you do, you face a very harsh legal penalty which is the equivalent of having been found guilty of driving with drugs in your system. What Does The Test Involve, And What Does It Test For? The police will ask you to put a small oral swab in your mouth, which you usually will drag down your tongue. The swab can detect drugs in your system in a matter of seconds. If the oral swab test comes back negative for all of those drugs, you’re allowed to drive away. At the moment, the drugs being tested for are cannabis, MDMA, cocaine, and amphetamines. Shoebridge notes that the oral swabs can actually detect a wider spectrum (from benzodiazepines through to heroin) but for whatever reason, they aren’t being tested for by police yet. The addition of cocaine to the list was only recent, following a campaign by the NSW Greens who argued that roadside drug tests were targeting poorer people, due to the fact that Australians from lower socio-economic backgrounds are more likely to use methamphetamines than wealthier Australians. Conversely, wealthy Australians are three times more likely to use cocaine than people who are less well-off. It’s interesting to note that — according to data from the Centre for Road Safety, obtained by the NSW Greens in 2017 through the Government Information (Public Access) Act — benzodiazepines are the most common drugs involved in road crashes. If the swab indicated a presence of one of those four drugs, you are asked to step out of the car and you’ll be taken to a roadside facility that the police have set up. You’ll undertake a second oral swab test, this time conducted by a much more sophisticated machine. If you pass that test, you’re able to return to your vehicle and continue driving — but your sample will still be sent to a laboratory to be analysed further. If that test picks up any trace of those drugs, you’ll face an automatic disqualification of your licence. If it’s negative, you won’t hear from the police again. If you fail that second test, you will immediately have a 24-hour driving ban placed on you, your car will be left at the side of the road, and the test will be sent to a laboratory for further analysing. According to Shoebridge, those laboratory results can take months to return — and if they do come back positive, you will go to court and face an automatic disqualification of your licence. An important fact to keep in mind is that cannabis can stay in your system for in excess of a week. “The sensitivity of the tests that are done by the police pick up tiny trace elements of cannabis,” says Shoebridge. If it’s a first offence, you can sometimes persuade the court to not record a conviction — known as a Section 10 in NSW (it has different names in different jurisdictions). Keep up to date with relevant information in penalties in your state: here for NSW, here for Victoria, here for Queensland, here for South Australia, here for Western Australia, here for Tasmania, here for Northern Territory, here for the ACT. And always, always seek professional legal advice. Jules LeFevre is the Music Editor of Junkee. She is on Twitter.